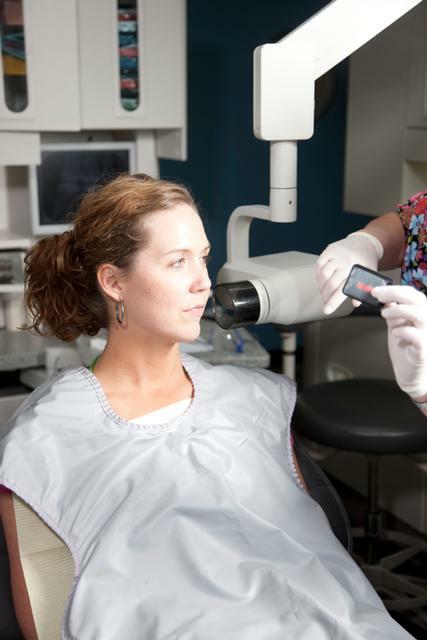 In order to detect decay, tumors, cysts, and bone loss, dental x-rays are periodically needed. X-rays also help to determine tooth location and root position as well as problems within a tooth. Digital x-rays produce 80-90% less radiation than conventional x-rays and the images are immediately visible, drastically reducing wait time. The images can be also manipulated by the dentist or hygienist to provide magnification, contrast adjustment, and even measurement.